Everyone's luggage looks nearly the same unless you're lucky enough to sport bags from Very Troubled Child. It's a drab, boring look everyone lugs behind them as they stroll dead-eyed through the airport for hours. Plus, it can be confusing at baggage claim. You're left to pick one black rollaboard of the eight riding the carousel. The only way to make sure it's truly yours is to check the undies inside. 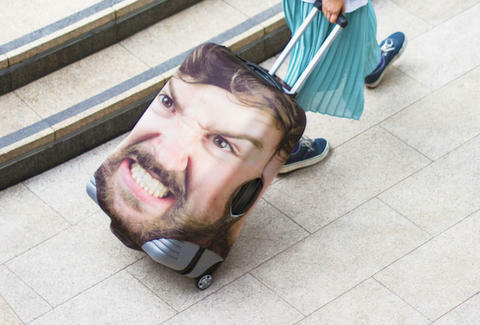 You could solve this awkward problem by putting an awkward photo of your face on your bag. It's not only practical, it's a statement piece that will make people talk. Firebox, a London-based online retailer, will let you do just that. 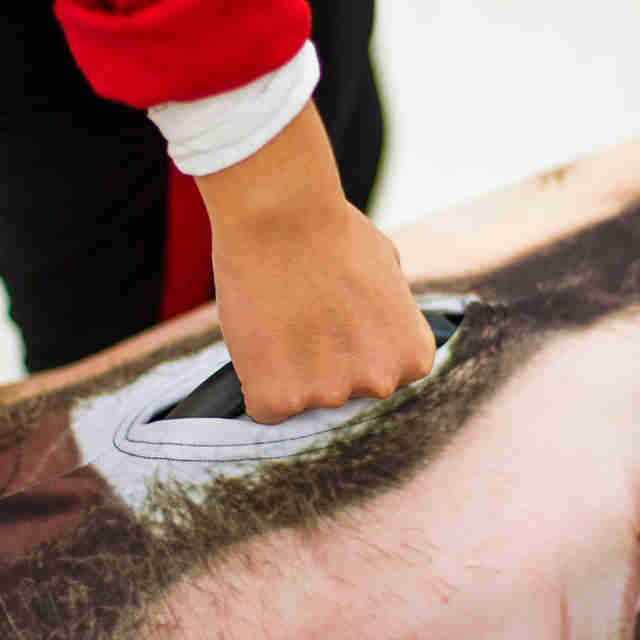 It has launched Head Case, a case for your luggage starring an oversized version of your head. All you have to do is upload a photo of your face (or the face of someone you wish to embarrass). Now you're on your way to having their weirdest bag at JFK. The polyester spandex case stretches over your bag and has some well-placed holes for the handles. Though, sticking your hand into your head might take some getting used to. It looks ... different. If this is your particular cup of tea, you can make giggles follow you around the airport for just $26 to $39.